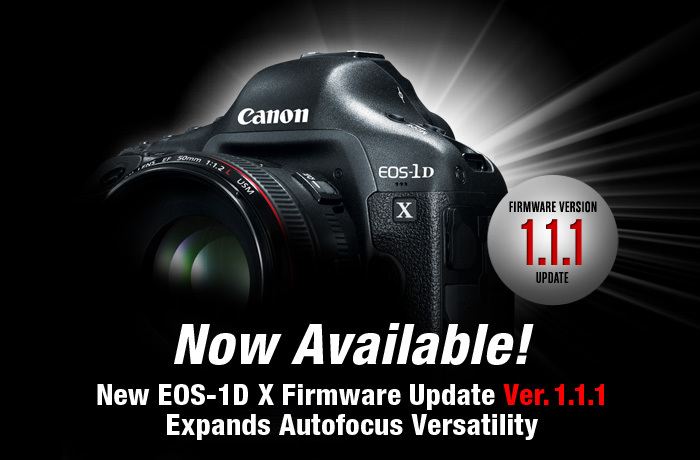 Canon USA has finally released a new Firmware update to the EOS-1D X to address the 'flaws' photographers like myself have been clamoring for. Read my review of this excellent camera. The official Canon download is available here. The following is the official Canon announcement. LAKE SUCCESS, N.Y., October 17, 2012 – Canon U.S.A., Inc., a leader in digital imaging solutions, today announced a new firmware update in response to user requests which further enhances the capabilities of Canon’s flagship EOS-1D X Digital SLR camera. The EOS-1D X will now be capable of AF point illumination during AI Servo AF and cross-type AF for maximum apertures as small as f/8. The new firmware update is available now at no charge from the Canon U.S.A. website and can be downloaded by end users or through Canon Factory Service Centers. 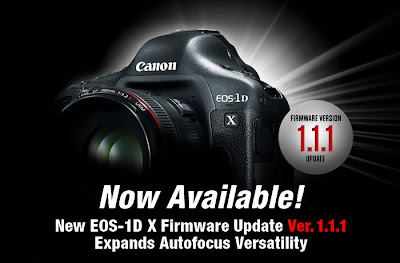 To support the needs of wedding, portrait, sports, wildlife, and theatrical performance photographers working in low light, the new firmware allows AF points in the EOS-1D X’s viewfinder to be illuminated in red when the shutter button is pressed halfway during AI Servo AF, for easy viewing of the selected point. This valuable feature will enhance the photographers’ ability to aim the camera accurately in low-light conditions, and when photographing dark subjects. To preserve exposure-metering accuracy, illumination is intermittent, not continuous. Three choices will be selectable from the menu system – Non-illuminated, Illuminated (Normal) and Illuminated (Brighter).